Motorola has a new mod for its Moto Mod-supported device lineup this week, the Moto Stereo Speaker. Priced at $59.99, this speaker attachment features a kickstand for sitting your device up, but more importantly, comes with two 28mm diameter speakers for stereo sound capable of a listed 80dB at 50cm. That’s pretty loud. 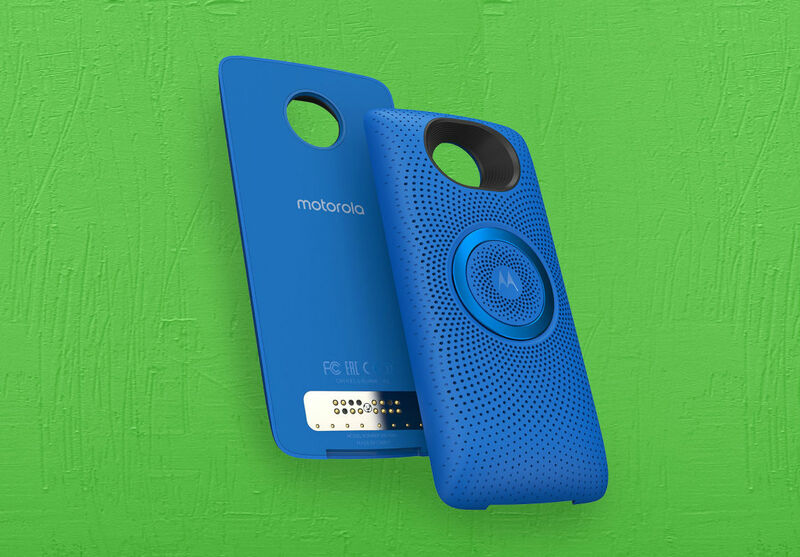 The speaker comes in either Black, Red, or Blue (pictured above), working simply by snapping it onto the back of any Moto Z device. There is no charging necessary and no syncing necessary, you know, like any good Moto Mod. This new speaker is available for purchase right now on Motorola’s website, but you can also finance it for $10/month via Affirm if that’s the route you want to take.